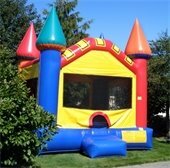 Trampolines and other large play devices are great fun for big groups and can often be a major attraction at neighborhood events. Remember, if residents or businesses decide to charge money for the use of such devices, they are classified as "open air amusement parks," which requires a City of Chicago Heights license and must comply with additional regulations. A brand new swimming pool can be one of the most exciting additions that signals summer fun! When buying and setting up an outdoor private pool in Chicago Heights, the pool should be at a distance of more than ten feet from any side or rear property line or building line. Your pool should be inspected annually to ensure it is safe, secure and ready for your summer enjoyment! Read the Chicago Heights Code of Ordinances to learn more about the guidelines that will keep summer events safe and compliant.